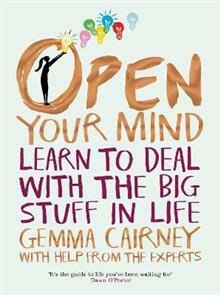 Full of honest and practical advice from Gemma Cairney and a whole host of trained professionals and real people, Open Your Mind is the best friend of a book everyone needs. 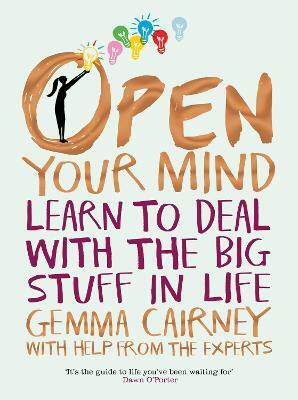 From stress, trauma and anxiety, to your place in the world and everything in between. Includes chapters on: Anxiety Depression Addiction Politics Our Natural World Feminism Money And so much more! After a brief time at drama school and a stint working in fashion in her early twenties, Gemma Cairney is now a BBC broadcaster, magpie and life enthusiast who has won awards for making documentaries on subjects such as young people in violent relationships. She presented The Surgery on BBC Radio 1 and co-produced and presented internet entertainment show The Fox Problem. Gemma has presented shows and one-offs for BBC Radio 1, 1Xtra, 2, 3, 4, 4 Extra, 6 Music and BBC World Service. She is also founder of boutique production company Boom Shakalaka Productions. She likes to write, explore the planet, trek mountains and DJ garage classics.